The core results of IP Trend Monitor’s first survey show that the IP industry is on an ascending trajectory, growing fast in all segments, and has China leading the way, closely followed by Europe (including Scandinavia) and USA/Canada, which rank on the second and third place. Digitalization is considered the main industry megatrend. "Interestingly, more than 72% of the IP experts see digitalization as an opportunity and a game changer, but not a risk. They are open to replacing administrative tasks such as monitoring, research and filing annuity payments with holistic IP software platforms, artificial intelligence and blockchain technology," says Sebastian Deck, Head of Communications, Content Marketing & Digital at the Dennemeyer Group. According to the study, 37% of the IP professionals welcome the chance to focus on value-add services. 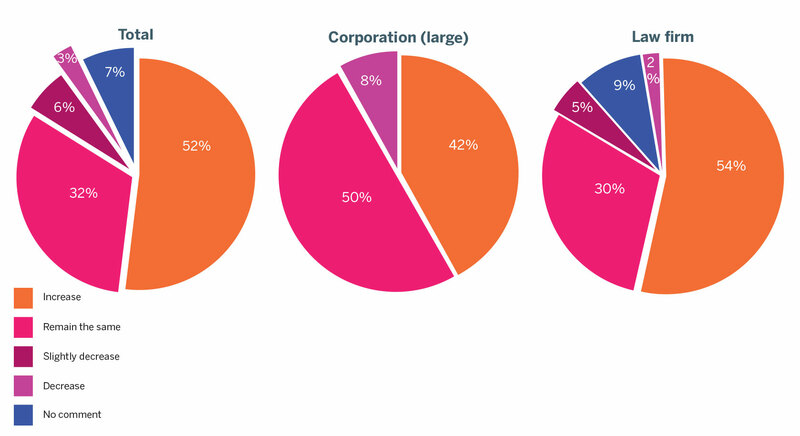 These are the core results of the first IP Trend Monitor survey, an industry study aiming to discover and analyze megatrends in the IP industry. 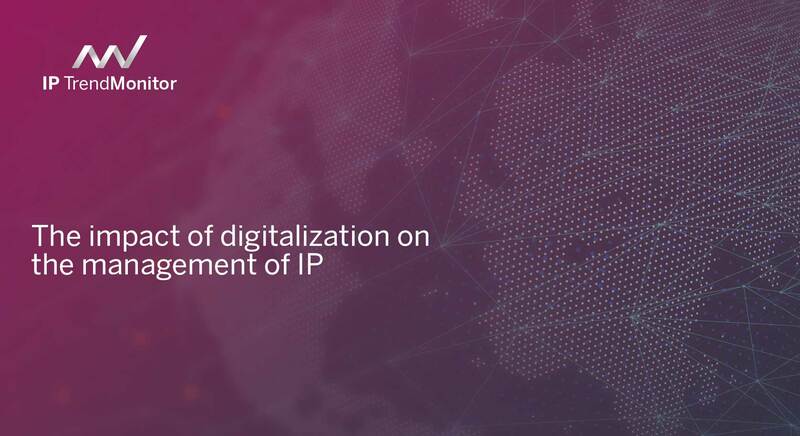 A joint effort of the Dennemeyer Group and CTC Legal Media, this issue focused on the impact of digitalization on the management of IP and the top technologies in IP, most significant trends and predicted expenditures for IP protection. The survey was conducted among more than 400 industry experts from 74 countries, all registered members of the expert panel and a synopsis of the findings will be published in both the Patent Lawyer Magazine and the Trademark Lawyer Magazine. Chris Dooley, Publisher and Managing Director at CTC Legal Media, ads: "It was captivating to discover what kind of business development our respondents anticipated for the fiscal year 2018, compared to the previous year. Our results show that the business climate for patents, trademarks and designs is expected to improve significantly, as is the development of global demand for IP legal services, administrative and for IP management software." The IP industry is embracing all new digital technology trends with 46% of the panel members expecting a significant improvement in the business climate for IP rights. Besides, 52% of the respondents anticipate an increase in the spending on IP protection within the next year, while only 3% think it will decrease. Over half of IP Trend Monitor panel members expect an increase in the spending for IP protection during the next 12 months and a significant number of the respondents anticipate an improvement in the IP business climate. As already mentioned, digitalization is a game changer in the IP, with artificial intelligence and big data playing significant roles. In a top of the most important trends in IP management, alternative means to protect IP rank fourth, while Brexit is another hot topic of the moment, scoring the sixth position. For IP management, digitalization is also potentially disruptive according to 6% of the respondents but fascinating to watch, none the less. 43% of the experts consider that it will mainly affect corporations and 37% lean towards IP law firms, while individual inventors and offices/associates are least impacted. Participants of the survey were also invited to rank the services for which digitalization will play a crucial role. It turns out that administrative IP services, monitoring, searches & opinions check the top positions, while experts also foresee that digitalization will have minimum influence on trade secrets and anti-counterfeiting which scored the ninth and 10th position out of 11. "Without a doubt, digitalization is fundamentally changing the IP management, and our first IP Trend Monitor survey has made this abundantly clear," says Deck. Professionals from all areas of IP management and all countries are invited to take part in IP Trend Monitor’s future studies and help further analyze the ever-changing landscape of this industry at http://iptrendmonitor.com/. The Dennemeyer Group, founded initially as a patent law firm in Luxembourg, has been setting benchmarks for all services and software solutions in the IP sector for more than 55 years. Dennemeyer evolved very rapidly into a global full-service provider for the protection and management of Intellectual Property rights - from legal services (Dennemeyer & Associates), software and management solutions (Dennemeyer IP Solutions) right down to IP consulting (Dennemeyer Consulting). Today, with over 20 offices on all continents, the group manages nearly three million property rights of more than 3,000 clients. CTC Legal Media is a publisher specialized in magazines, directories, and handbooks for the legal market, specifically focusing on the Intellectual Property industry. With over 25 years of experience in legal publishing, CTC Legal Media uses industry experts to deliver the latest news and views in these markets and aims to provide a specialist service for international law firms and legal companies. Some of the titles they publish include the Trademark Lawyer Magazine, the Patent Lawyer Magazine, the Copyright Lawyer Magazine and many more.